Part of the sought-after Uptown district of Minneapolis, East Isles is an exceptional neighborhood with a great location, a strong sense of community and a gorgeous collection of homes. Spanning from the coast of Lake of the Isles to Hennepin Avenue between W. 22nd Street and W. Lake Street, residents can enjoy the some of the best amenities Minneapolis has to offer – plentiful outdoor recreation plus a close proximity to trendy restaurants and shops, a bustling nightlife, and a close-knit community feel. Like much of the Calhoun Isles communities, East Isles began developing in the early 1900s as small suburbs of the quickly growing city of Minneapolis. 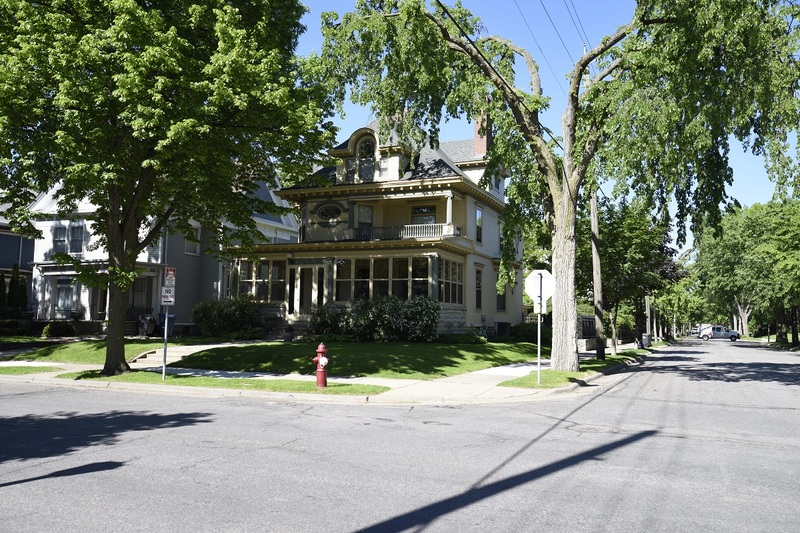 Connections to street car lines allowed it to grow, and its close proximity to the Lake of the Isles prompted well-known architects to design gorgeous homes in the area. Specifically, architects William Gray Purcell and George Grant Elmslie designed both the Catherine Gray House and the Purcell-Cutts House. Both homes are classic examples of Prairie School architecture, and while the Catherine Gray house is a private residence, it has been renovated to restore its beautiful appearance with historic integrity. The Purcell-Cutts House has been donated to the Minneapolis Institute of Art and is open to the public as a museum. East Isles offers a rare blend of quiet, residential streets featuring spacious, restored homes with updated buildings that have been converted into condos that are ideal for those wanting to be in the center of Uptown action. The neighborhood is beautifully maintained and preserved, and is one of the few that provides such a wide variety of real estate. Homes in this neighborhood range from compact studios that list under $100,000 to sprawling estates that list at well over $1 million. No matter where you buy a home in East Isles, you’re within walking distance of ample amenities. The Lake of the Isles and Lake of the Isles Park offers walking and biking trails, parks, and boating. Plus, you’re only a brief bike ride or drive from Lake Harriet and Lake Calhoun. With several nearby grocers, including Kowalski’s Market and Lunds & Byerlys Uptown, you have access to local, organic produce and gourmet items in addition to your staples. If you don’t feel like cooking at home, there are a variety of local, beloved cafes within walking distance, including Namaste Cafe featuring Nepalese cuisine, Barbette, a French bistro, and Origami, a Japanese restaurant. For home buyers with children, we understand that the quality of nearby schools is necessary to your search for the right home. Fortunately, living in East Isles, there are several good schools available to your children, both private and public. If your dream home is in East Isles, we can help you turn it into a reality! We’ve served the Minneapolis area, connecting buyers with their perfect home since 1992. Contact our team at Stutsman Realty, Inc. at 952-927-4144 to get started. Ready to sell your East Isles home? We will work with you to sell your home quickly while getting the highest selling price. Contact us today to learn more!